I just wanted to pop in and say hello and THANK YOU for all of your kind words and support about my Grandpa. I loved to read your heartfelt comments. They really made me feel better :) It's been a rough couple of days, but we made it through. I've missed my kiddies so much this week! We had a field trip planned to a new dinosaur exhibit on Wednesday... I obviously couldn't go, but I'm glad to say my little ones went, enjoyed it, and all made it back! I'm excited to see them on Monday, and hear all about it! Here and there I've been working on some new things. I hope to have my newest craftivity posted on Sunday. It's a project for back to school! Props to my mom on the cute dress choice!! I'm so glad to see you here! I'm glad you and your family are hanging in there. I'm thinking about you! Sometimes it's best to keep busy. Take care, sweet girl! I'm glad to hear you're doing okay. Your photo is too cute! I love that picture! Too cute! I can't wait to see your craftivity. I'm sure it will be great. That is the sweetest picture! I'll keep you in my prayers! So cute! Thinking of you during this hard time. You are the cutest thing I've ever seen!!! No wonder we're besties!! Love you bestie! Hugs and prayers for you and your family!!!!! How cute are YOU?! My mom was dressing me in some awful stuff with poofy bangs and a perm! yuck! So glad you and your family are making it through this time together! You were and are a sweetie from the start! I cannot wait to see your craftivities! Blessings, prayers, and love still coming your way! Prayers being lifted for your family. Grandparents are such a blessing and leave such wonderful memories. 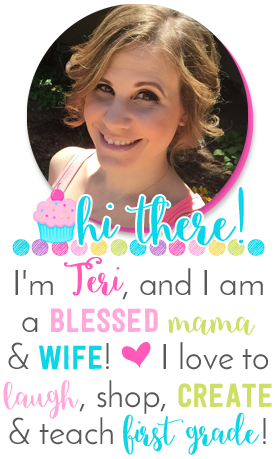 Heartfelt hugs to you, Teri! And you were such an ADORABLE little girl!! 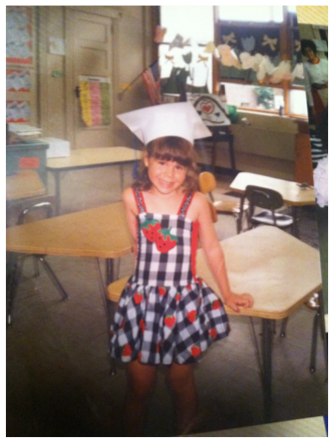 I have a bloggy question for you. How do you make a direct link from the comment box go to a new window? My comment box pops up but if I click to go to a blogger that left a comment it just stays in the tiny window. I'm glad to hear everything went okay and that the kids had fun at their field trip while you were out. I know I was worried about kids when I had to be out for so long in September. They will be glad when you are back and will give you lots of hugs that, if your like me, will make you feel better. I was absolutely and positively devastated when I lost my grandpa- two months shy of my college graduation. I had hoped he could make it to that day because I was the first person in our family to graduate from college. I just found your blog. Who doesn't love cupcakes?!? I'm so sorry about your Grandpa. Sure looks like he lived a love filled life. Thank you for the love everyone!! I Went Shopping... and You Can, Too!